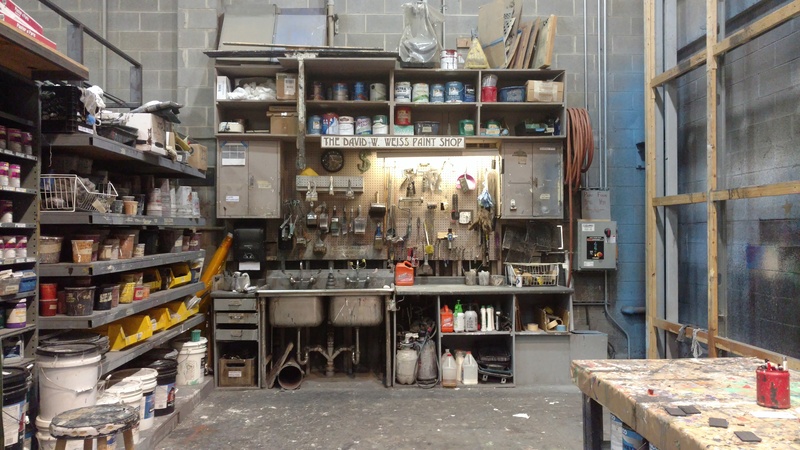 After many years of use, the paint shop at the University of Virginia needed an update. 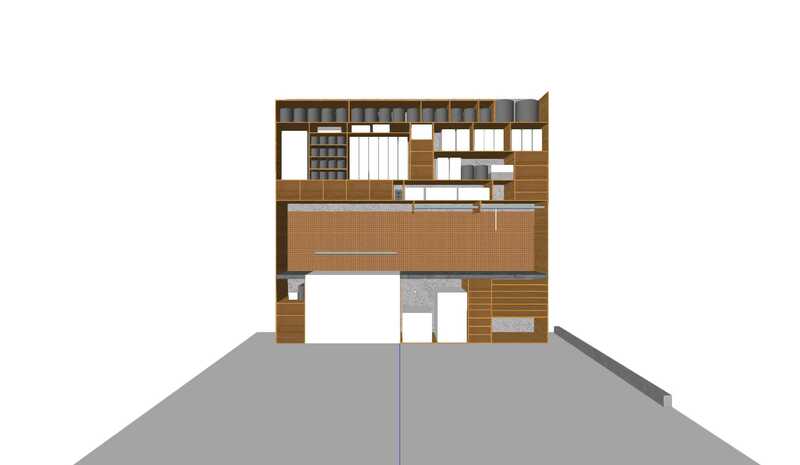 I started with drafting the space itself to figure out how we could use it the most efficiently. 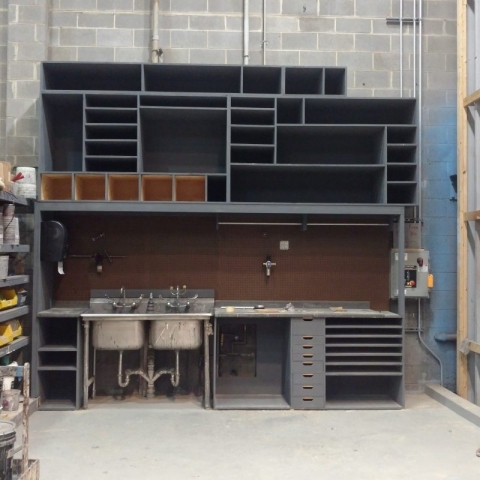 I measured each tool so that we could have custom sized shelving. Not only does this create a neater appearance, it also makes it easy to spot if anything was out of place or missing. 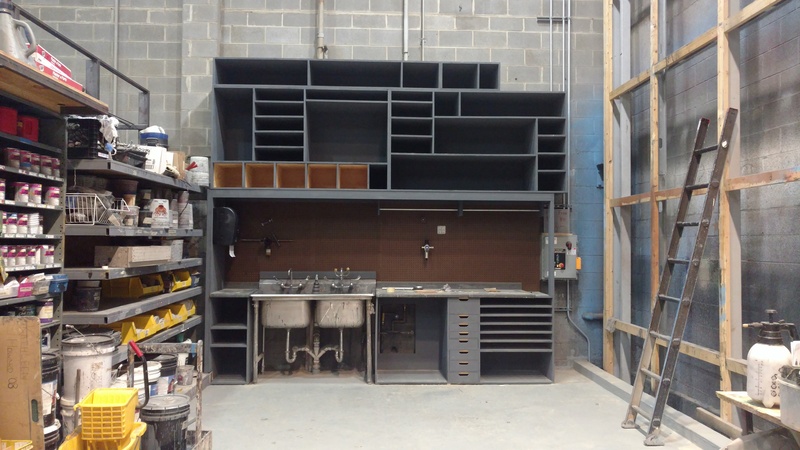 A mixture of open shelving with dividers and pull-out drawers were used based on how each item gets used in the paint shop. Now, each spot has a label and every item in the paint shop has a home. 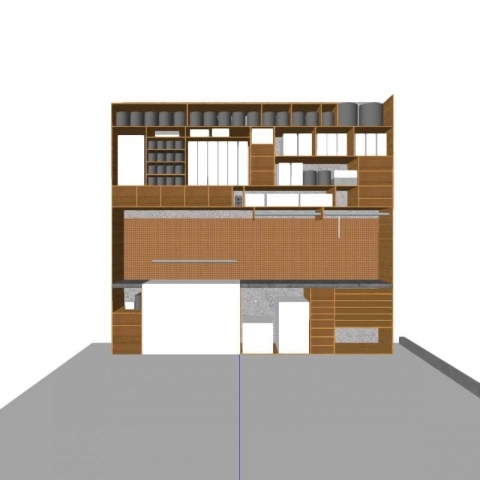 Some features of the new shelving include a spot to hang roller cages, a dedicated area for paint elevations and paperwork, and LED lighting fixtures above the sink and counter space. 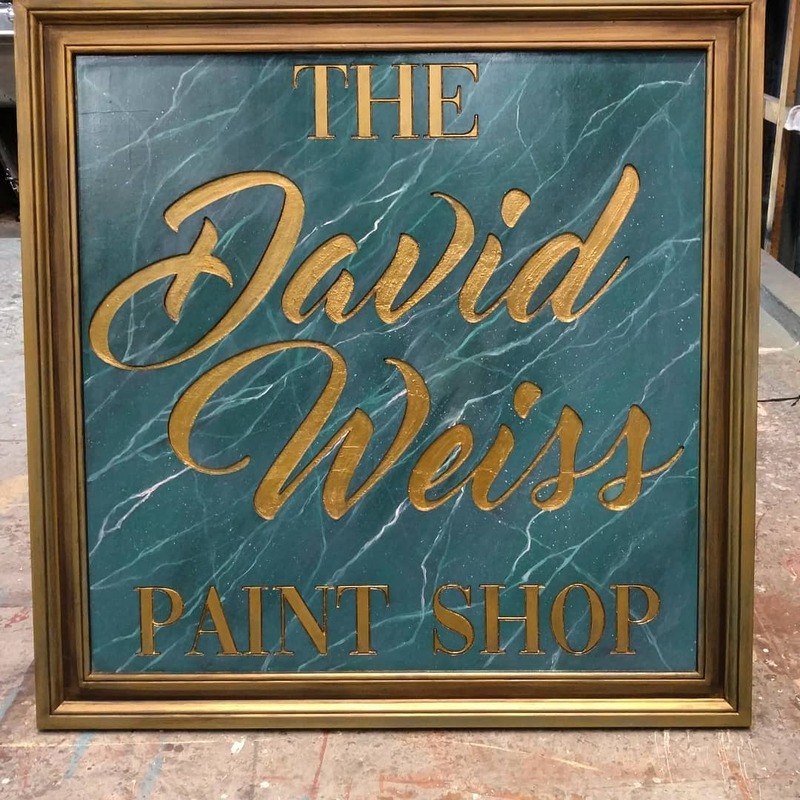 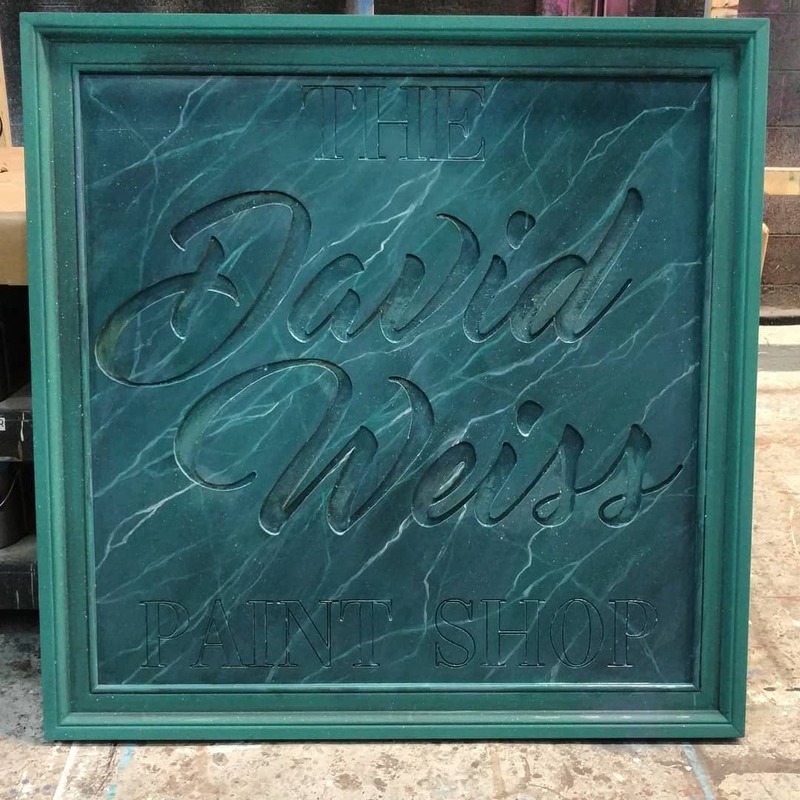 I also designed and painted a new sign for the paint shop, dedicated to David Weiss, founder of Heritage Repertory Theatre and the MFA program at the University of Virginia. 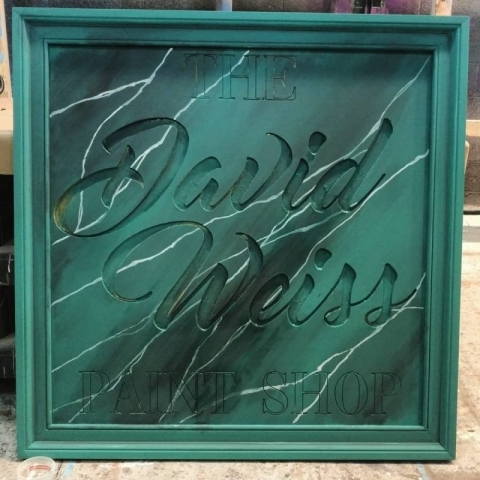 The sign itself was CNC routed, based with white latex, and sealed with Rosco’s Premiere Clear in Gloss. 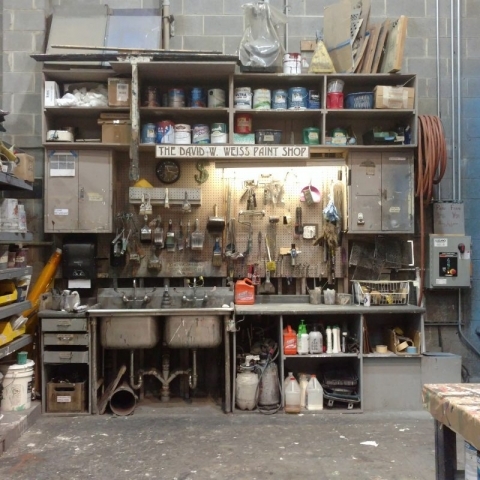 This project was done in my final year as an MFA graduate student in the Technical Production and Scene Design program at the University of Virginia.